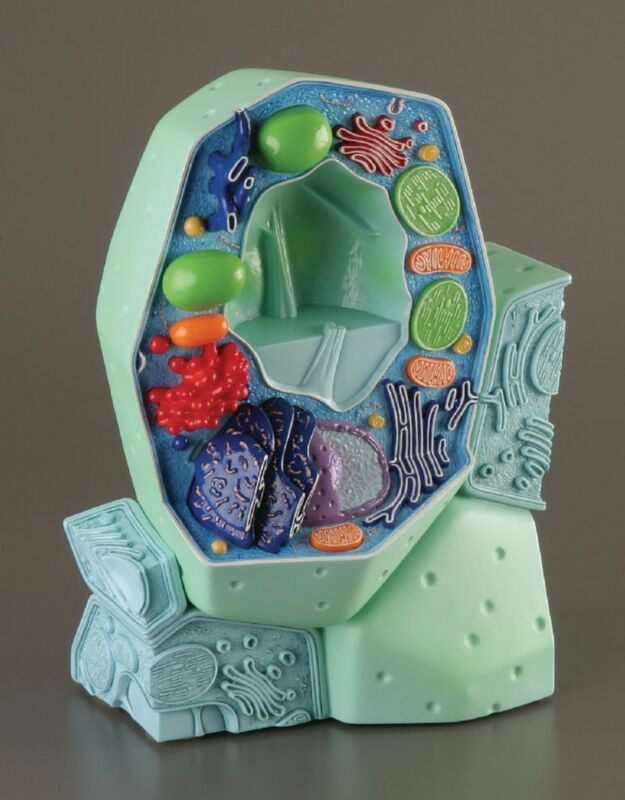 Magnified almost a million times its size, this two-piece plant model reveals the structures of a typical plant cell with cytoplasm and cell organelles as viewed by an electron microscope. For quick identification, all important organelles of the plant cell are in raised relief and full color. Features include the cell wall, cell membrane, nucleus, smooth endoplasmic reticulum, rough endoplasmic reticulum, ribosomes, chloroplasts, mitochondria, dictyosomes, and Golgi apparatus.